go wwwest! 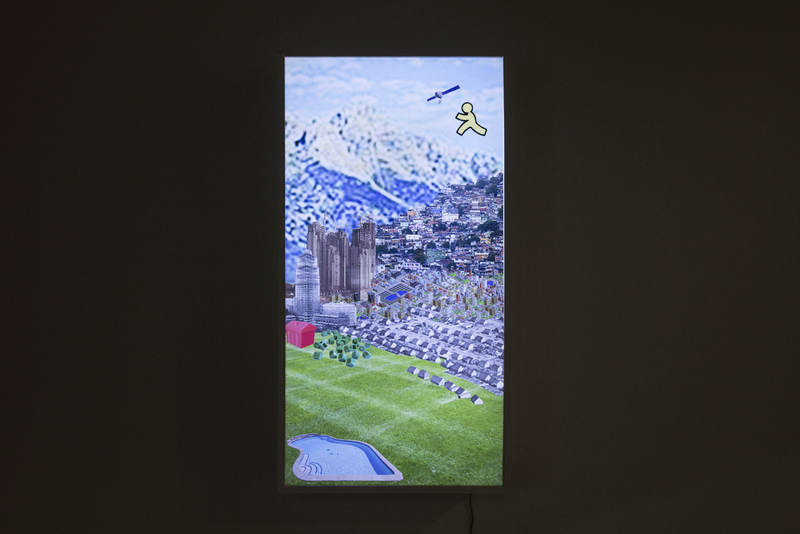 is a series of digital collages, mounted on lightboxes, that make use of appropriated imagery in order to play with landscape art's historical associations with national identity. The lightbox, built to the same aspect ratio as an iPhone, acts as a window and a screen simultaneously: it is gazed into as it glares outward.